Sometimes a person in power does something surprising; instead of making us cringe, weep, or shake our heads, s/he uses that power for good. Weird Al Yankovic surprises us regularly. Weird Al’s interpretation of Robin Thicke’s “Blurred Lines” is informational, educational, humorous, and, well, not sexist. I loved “Word Crimes” so much that I included it on my syllabus for Teaching Writing in Secondary Schools this fall, as I think Yankovic took a problematic song (“Blurred Lines”) and turned it into something good. After all, isn’t that part of what teaching social justice is: taking something prejudiced and transforming it? Or, using something biased against itself to raise awareness for the cause? By reconstructing Thicke’s sexist track into an educational tool, Yankovic removed some of its harmful power, recreating it into something positive. While the beginning of the video is light-hearted and funny, it takes an odd, serious spin toward the middle, which is the part I appreciate most. People — especially young people — are heavily influenced by their musical icons. It is dangerous for them to believe something just because their favorite musician says so. “Foil” forces us to think about conversations regarding conspiracy theories critically. By making fun of the illuminati, Yankovic removes some of its commercial power, allowing us to see it for what it is: a fictitious money maker. 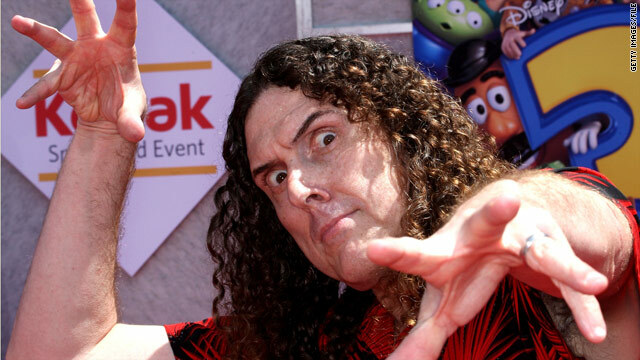 Weird Al Yankovic is set to release eight songs in eight days — five of which have already made their appearance. I appreciate his craft and hope others will join him in not taking things too seriously.